Professional athletes are really just big kids in a lot of ways. Anaheim Ducks center Ryan Kesler proved that at practice on Tuesday. 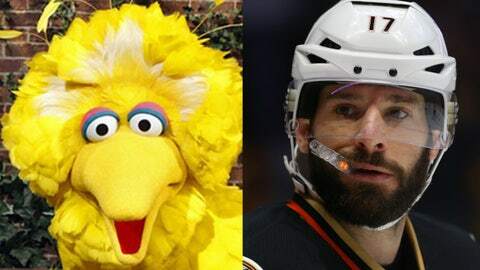 To our knowledge, Seasame Street’s Big Bird is not a duck. But Big Bird does have feathers and so do ducks, so make of that what you will.